Sigrid Undset; trans. Charles Archer & J. S. Scott. Kristin Lavransdatter, I: The Bridal Wreath. Published New York: Vintage Books, 1987 (originally published by Knopf, 1923). Page count: 284pp inc. 3 monochrome illustrations. Overall condition fair to good: some mild general wear on the covers; pages yellowed with age; the spine is not creased from reading and the text appears to be free of marking. 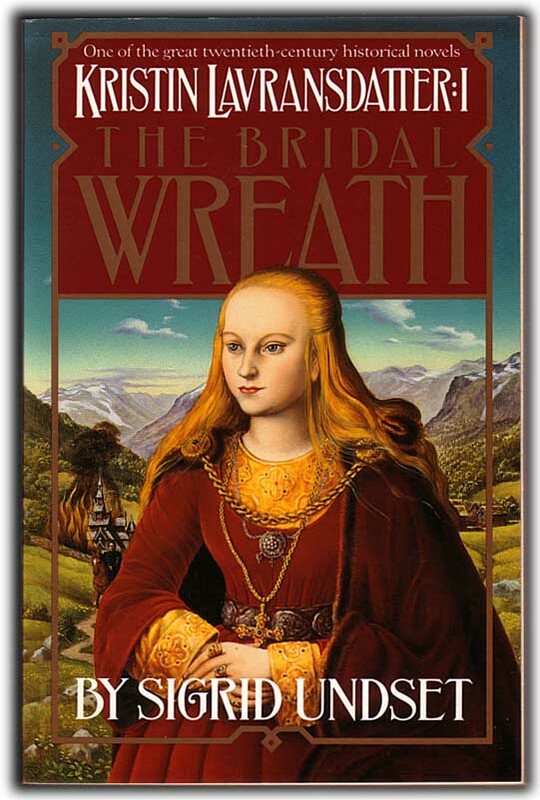 Historical fiction: the first volume of a trilogy set in fourteenth-century Norway, "describes young Kristin's stormy romance with the dashing Erlend Nikulaussön, a young man perhaps overly fond of women, of whom her father strongly disapproves".